Whipped up this UDF while working on a project. It checks to see if the list is valid to use in a TSQL WHERE IN Clause. I wanted to check for a list of valid positive integers (including 0), ignoring spaces. Here’s a quick and simple way to do this. I often have to show and hide set of panels based on whether something is checked or not. jQuery code is pretty straightforward and it comes in handy. // Call the function on click. I have the demo if you want the source as well. 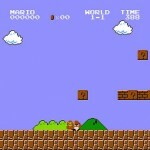 # This file has a list (\r\n delimited) email addresses. # This is the log file which we'll use to see if email addresses are in here. # Log results to a file. divider = "\n\n======== Found ========================================"
divider = "\n\n======== Not Found ===================================="
Pretty straightforward. The script also writes a file called “output.log” which has a list of emails that were found (marked under “found”) and not found (marked under “not found”). path = folderName + "/" + str(i) + ".txt"
In spirit of the amazing book Head First Design Patterns, I wanted to put together a ColdFusion example that depicts the Strategy pattern. Essentially, the Strategy Pattern lets you group related algorithms together so that an object is able to select which algorithm to run at runtime. So let’s say for example you had a parent class that has two properties and two methods. You now create a subclass that inherits the parent class, meaning that it will gobble up all the properties and methods (whether you like it or not) from the parent class. You can’t choose, for example, what methods you subclass needs, even if some methods don’t make sense for your subclass. It’s an all-or-nothing solution. Yes, you can override, but what if there were 10 methods to override? Also, what if you had to create other types of subclasses – you’ll have to override those as well. Things can get a little sloppy at the end. That’s where the strategy pattern comes in. With this pattern, you first think about related methods and algorithms. (One method can have various algorithms; different implementations for doing the same thing.) For this blog post’s example, we’ll think of different ways a SuperHero can punch. To keep things simple, let’s give him two ways (two different algorithms for punching) he can punch. He can punch normally, or he can punch you, which freezes you as well. Let’s UML this to make things clearer. 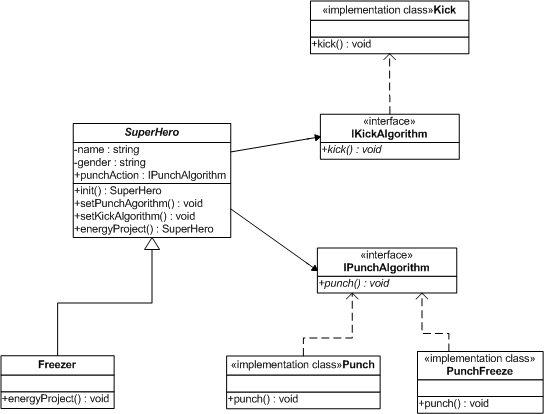 From the diagram, you can see that the SuperHero abstract class is able to choose a punch set of algorithms (a strategy). We also see that Punch and PunchFreeze are implementation classes (classes that serve to implement an interface). Both of them have a punch() method that return void (nothing) – in this example, they’ll do stuff, and not return anything. You have been pointed at by a weak flash light. You have been punched normally. Ouch. You have been punched and are now frozen, stuck. Good luck thawing! You have been kicked in the gut. Yummy. You have been snowed on. 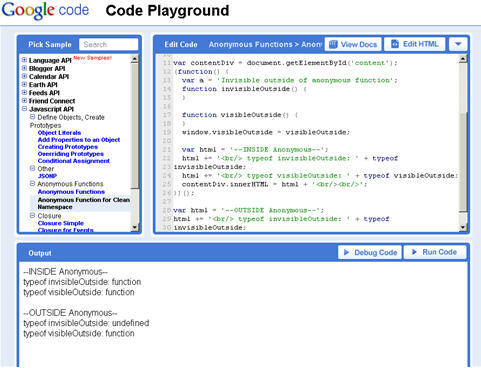 You can download all the CF code here with the original Visio diagram source. 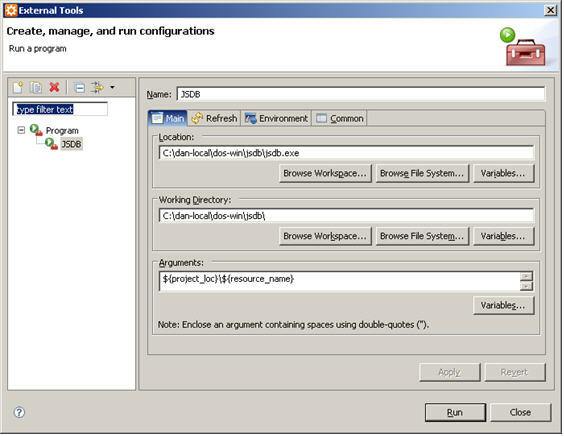 Tagging a revision is a simple task if you’re using the subclipse plugin for Eclipse. For this example, we’re going to tag the trunk in our repository. 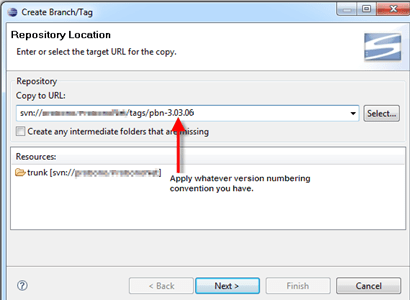 This also assumes that your repository uses the traditional “3 directory setup” of branches, tags, and trunk. 1. 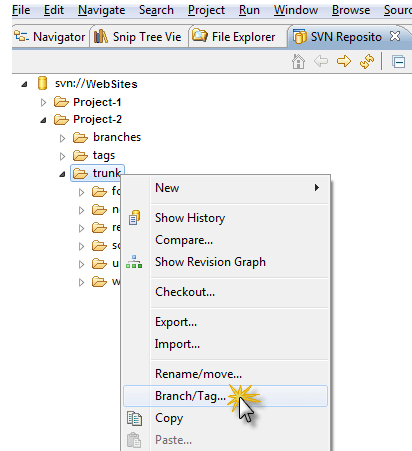 Make sure you have a SVN View tab in Eclipse. This is a neat way to encrypt form fields on the fly when submitting. Good way to add another layer of security. 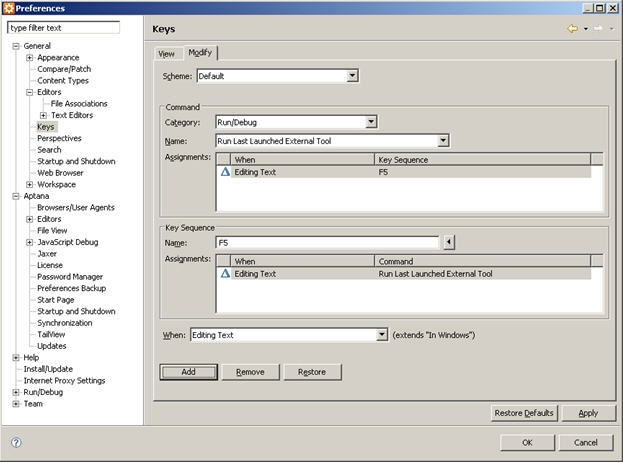 This is a jQuery plugin that uses the public-key algorithm of RSA. Another great article to check out is this one. So I’ve finally dumped Perl for my systems scripts. Partly was for maintainability. Overall, when doing some benchmarks myself, it seems that Perl beats Python in simple text parsing and file manipulation, which is most of the time is what I use it for. Ugh. I do find it though, that in most teams, Perl can be cryptic and unnecessarily harder for one to jump into. Python solves this. I think Python (after playing around with it for about a week) is a much more elegant language. Python will be a great addition to my toolkit for system automation. Much easier to apply OOP principles and write readable code. It’s a pleasure to write in this language and I look forward to learning more about it. Also, while searching for performance tests on which language was “faster,” I ran across this site: The Great Win32 Computer Language Shootout . Of course, not to be used as a definitive guide, it does serve as a baseline, I think, for very simplistic tasks in a language. If you start your own company or run your own project you can usually choose the programming language, but if you work for a large company there are probably architects and others who keep a tight rein on approved technology. How do you steer a big ship towards dynamic programming languages, and how fast can it turn? Come hear the story of one software developer employee who in 20 months facilitated the adoption of Python as the standard scripting language for an enterprise with 25,000 employees. Leave with ideas for advancing dynamic programming languages in your workplace, and with hope that change is possible. Currently reading a great AJAX book, Head First AJAX, by Rebecca Riordan. I was a little skeptical at first by the format of these “Head First” books. I had heard so much about these books that I decided to give it a shot. I have to say I’m very pleased. It makes the material very easy to understand, and I certainly need a good book to review my AJAX. Benefit two, is that with that XHR object, you can make HTTP requests that traditional HTML pages cannot. An HTML page can make a GET or POST request (e.g. via a form). With an XHR object, you have all HTTP request methods available. Here’s a great snippet that bundles the logic to return an XmlHttpRequest object if the browser can in fact create the object. I find it quiet useful. 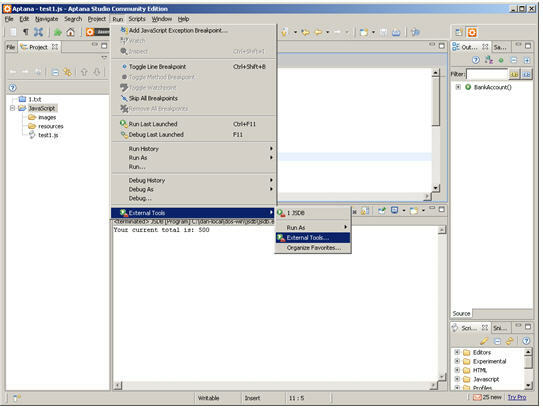 Some additional code, wrapped in functions, that sends the request object to the server, and fires the showUsernameStatus function. This is grabbed from the book site. Posting it here for my own benefit. Here’s a simple way to read a text file (data.txt), barebones, on Firefox, without checking if XMLHttpRequest object exists or not.